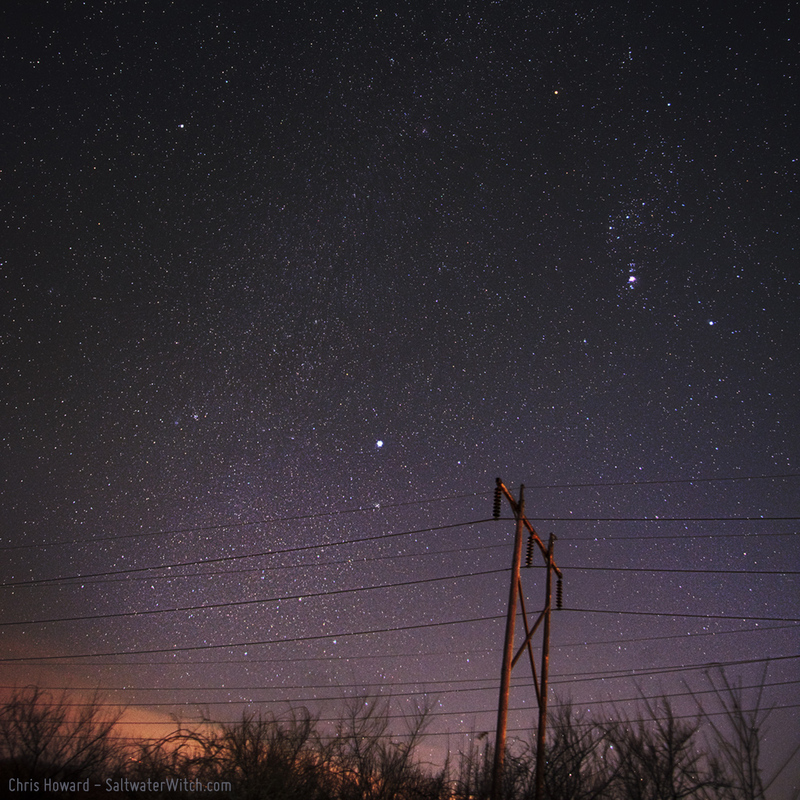 I took the Nikon D750 out tonight and got a nice 30 second exposure of the constellation Orion (upper right of the first image), with some of the PSNH transmission lines in the foreground. That's Sirius almost center in the shot, with Procyon on the upper left. Centered in the image about a quarter of the way from the top, there's a reddish blur between the star Procyon and the star Betelgeuse in Orion--that's the Rosette Nebula--see my December 26 post. (Nikon D750, 24mm, Hoya LiPo filter, f/4.5, 30 sec. exp. ISO 800). 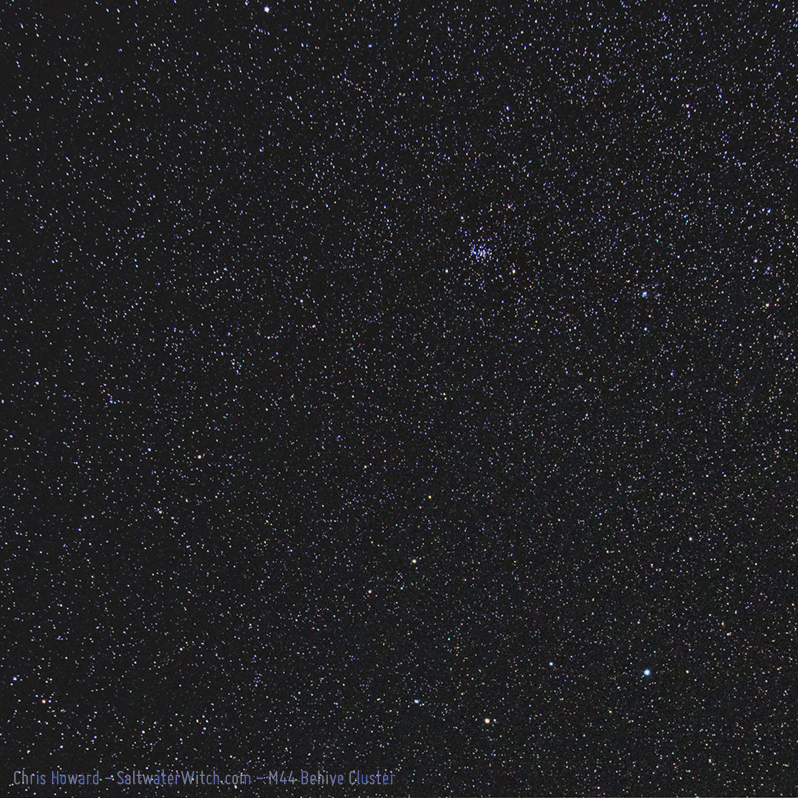 The second shot is M44, the Beehive Cluster in the constellation Cancer--plus a few more stars. (Nikon D750, 24mm, Hoya LiPo filter, f/4.5, 1 x 300 second exposure, ISO 800). These are both single exposures, and I shot both on the iOptron CEM25P mount, and what amazed me was that, with pretty good polar alignment, just using the polar scope (no drift or polemaster), I was able to get 3 and 4 minute exposures unguided. The M44 shot is 300 seconds (5 minutes) with some slight star elongation, but still not a bad shot. The color of stars is interesting to look for--take a closer look at the Beehive Cluster (M44) image and it's easy to see that the star-field is full of color. I think there's this notion that stars are white pin-points of light in the night sky, but every star has a color, most of them ranging from red to deep blue, depending on many factors including where in its life-cycle it is, the materials it's made from, size, and more. 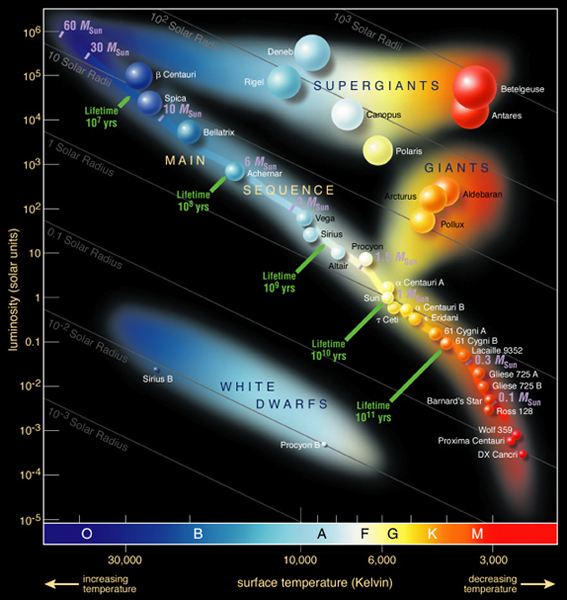 See the Hertzsprung-Russell diagram, listing some of the more familiar stars in our galaxy by surface temperature and luminosity. Our star, the Sun, is pretty close to the middle of the Main Sequence line, between cooler, redder stars and the hotter blue stars. What's interesting is that the shot of the constellation Orion I took the other night--included here--contains several of these stars from the diagram. If you start at the Sun and follow the Main Sequence line up toward the blue end, you will quickly find Procyon, which is the bright star in the top left corner of my image. Sirius--in the diagram--is a couple up from there, but it's almost in the center of my shot. Keep going into the blue, and there's Bellatrix, the blue star which makes up Orion's right shoulder. Now head right from there, out of the Main Sequence line and into the Supergiants, and find the blue supergiant Rigel, which makes up Orion's right foot. And finally, keep going right to the massive red supergiant, Betelgeuse ("Beetle-juice"), which is the left shoulder of Orion. (Hertzsprung-Russell diagram source: ESO - European Southern Observatory, ). How's that for taking one picture of the night sky with some nice examples of stars of varying size, color, and lifespan?